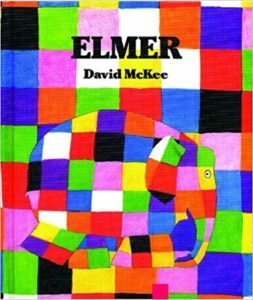 Elmer appears different to the other elephants: he is a brightly-coloured, patchwork elephant. He makes the other elephants happy, until he perceives others laughing at his patchwork. He leaves, but the other elephants miss the true Elmer. This book is significant for its celebration of diversity, which is also deep and complex. Elmer is loved by the other elephants for his personality, not only for his physical appearance, and both these features are celebrated by the herd.